Last Thursday was the Local Lovers open mic night at Rozz-Tox in Rock Island, Illinois. Rozz-Tox is a funky jewel of a place– a cafe and bar–a place you can get pu-erh tea or Ovaltine, sake or lingonberry juice, kimchi or a red velvet cupcake. 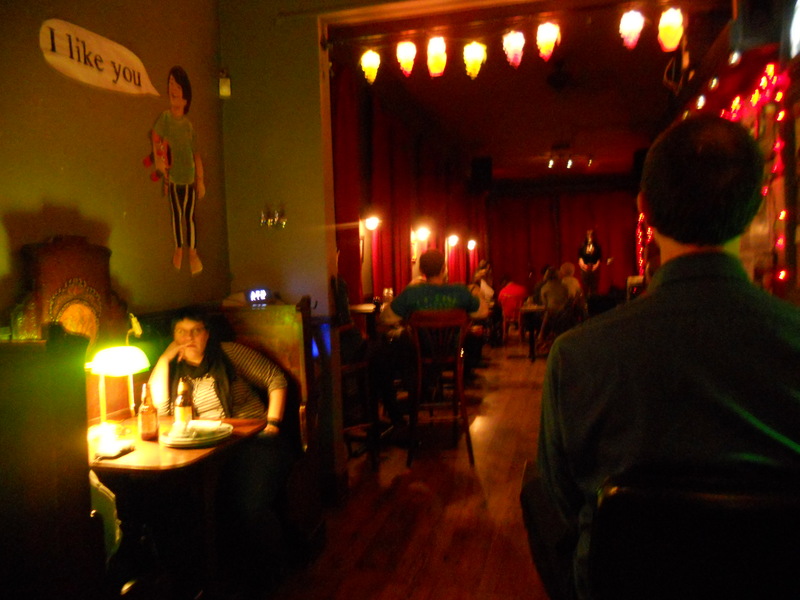 It’s a great place to see live music, but it is also an exceptional venue for poetry readings. The Local Lovers open mic kicks off the SPECTRA poetry series; both events are sponsored by the Midwest Writing Center. Ryan Collins, the director of the MWC and emcee at the events, keeps the pace upbeat and the rules clear. The atmosphere is safe and welcoming for new poets, as well as for well-established and published poets. Bill Telle, a poetry series regular, read his very moving poem titled, “Loved You Before“. 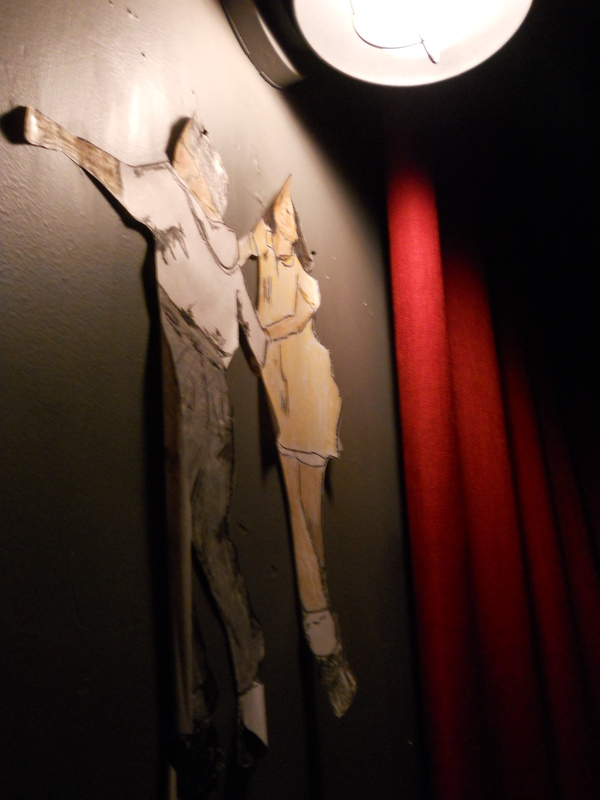 The night of poetry coincided with a fun art show which featured nostalgic paper cutout images. I couldn’t find the name of the artist posted any place. Someone told me it was a stealth anonymous artist who posted art around town, never disclosing his/her name. The first SPECTRA poetry reading series of 2015 will be Friday, March 13th @ 8 p.m. @ Rozz-Tox. It will feature poets: Noah Eli Gordon; Joshua Marie Wilkinson; and Mathias Svalina. Live music from Crystal City will follow the poetry.